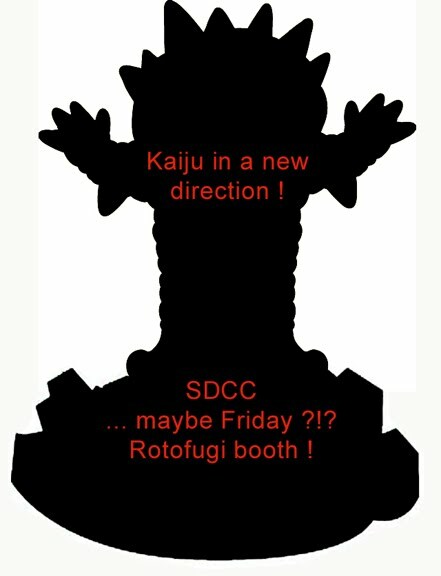 SDCC updates Mini Kaiju Series and more ! 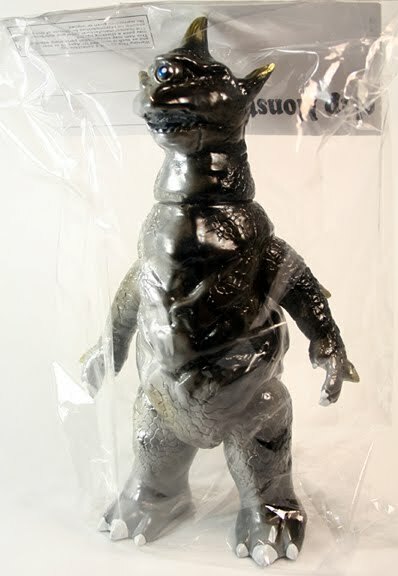 Sorry folks, those who pre-ordered the first painted versions of the Mini Kaiju Series, they are just about done having been painted by Master Kaiju painter, Hiroshi Goto-san .. we actually gave him a bigger than expected order, needless to say that’s a good thing, but it so happened to also be during WonderFest convention in Japan .. which is when every toy guy needs his stuff painted .. oh well, no worries, they should arrive first week of August and I’ll get them out to all pre-orders and wholesale accounts ! 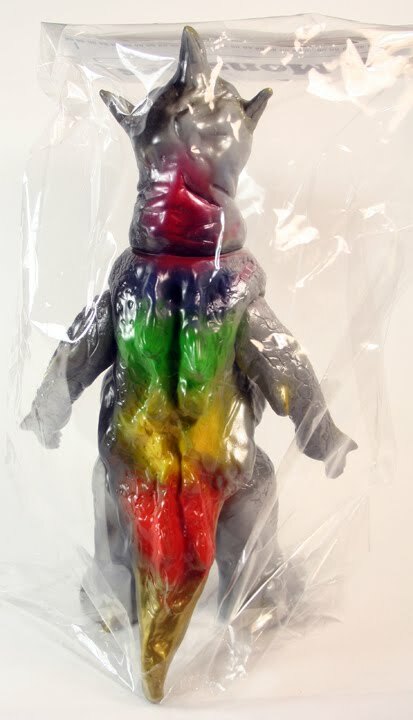 If your going to SDCC you’ll also see a peek at the next Mini Series versions coming over the next few months as well 😉 Above a beautiful Glow In the Dark version and below Monster Kolor C-Thru paints on Japanese clear vinyl 😉 by Matt Walker. 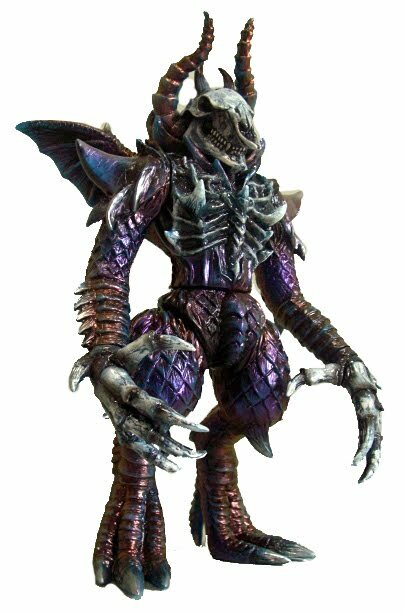 For retailers, both are available by pre order via StrangeCo and soon to be offered to Max Toy Club members ( after SDCC ). 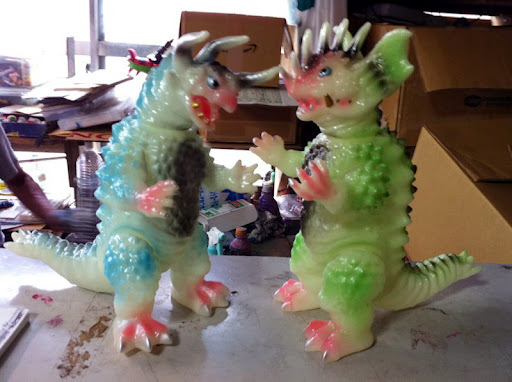 and don’t miss this beautiful set of Glow In Dark Kaiju Drazorus and Kaiju Dragigus SDCC exclusive to Rotofugi !! 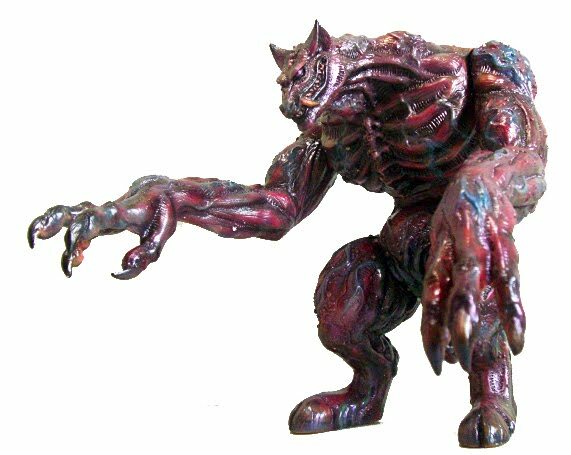 Goto-san once again throws down the classic GID Bullmark colors on these beautiful figures ! 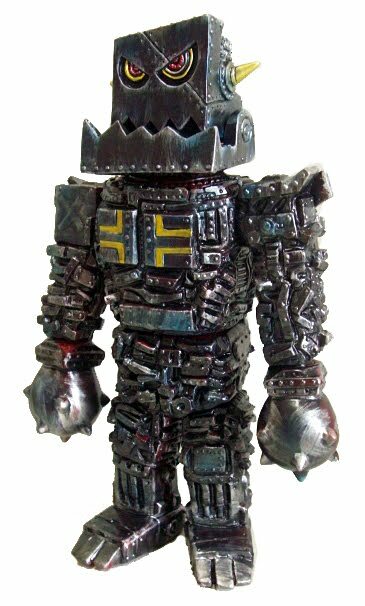 and fingers crossed something else for Friday at Rotofugi booth ..
and also look for customs from Marmit and Bear Model at StrangeCo and Rotofugi booths, first come, first served on these and all customs.